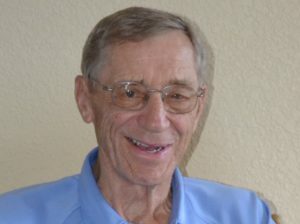 This Winslow native was a dominating force as a player in high school and at Gorham State College.Graduating from Winslow High School in 1955 he was a standout athlete earning 16 varsity letters in football, basketball, track and baseball. Following high school, Ed continued his education at Maine Central Institute before attending Boston University for two years on a basketball and football scholarship. Ed completed his education at Gorham State College (University of Southern Maine). Ed played basketball at Gorham State College and was inducted into the Husky Hall of Fame in 1988. In 1967 Ed and his wife Janet moved their young family to Dexter where he coached for the next 38 years.